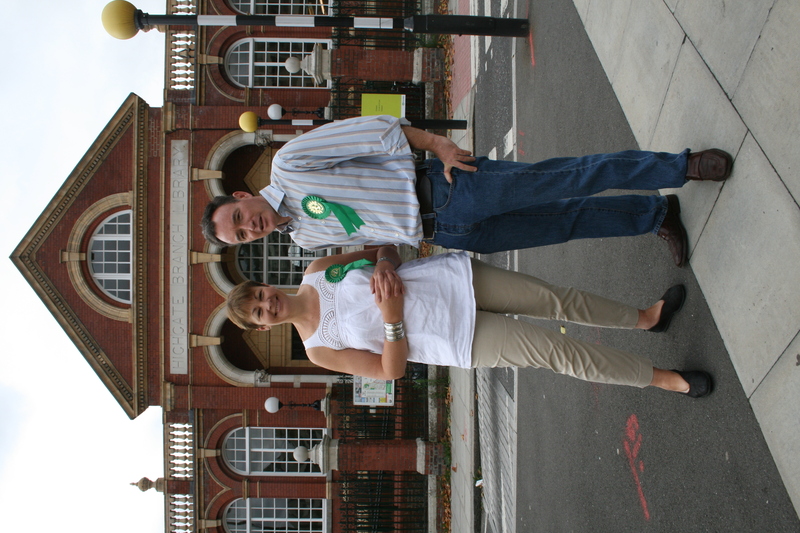 CAROLINE Lucas, the Green Party leader and Brighton MP, was drawn into Alexis Rowell’s by-election campaign in Highgate last week. I was on holiday in the woods and Tom Foot was manning the newsdesk, so reporter Simon Wroe was sent to interview the pair outside Highgate Library. That’s Simon Wroe, a thoughtful, highly-commended journalist with longer connections with Camden and the Camden New Journal than most. Or “somebody I’ve never heard of”, according to the Camden’s ex-eco champ Alexis. When Simon arrived he was introduced to Ms Lucas by the Green Party’s newest member as ‘not the great nephew of Michael Foot‘. Tsk. Tsk. Mr Rowell has clearly lost none of his cheeky charm during his time away from the Town Hall. Simon, unsurprisingly, did a perfectly fine job of the interview. Everybody stay calm out there.